On an unforgiving, snow swept frontier, a group of bloodthirsty bounty hunters, led by the vicious Loco (Klaus Kinski Nosferatu, For a Few Dollars More) prey on a band of persecuted outlaws who have taken to the hills. As the price on each head is collected one-by-one, only a mute gunslinger named Silence (Jean-Louis Trintignant The Conformist) stands between the innocent refuges and the greed and corruption that the bounty hunters represent. But, in this harsh, brutal world, the lines between right and wrong aren't always clear and good doesn't always triumph. Featuring superb photography and a haunting score from maestro Ennio Morricone, director Sergio Corbucci's bleak, brilliant and violent vision of an immoral, honorless west is widely considered to be among the very best and most influential Euro-Westerns ever made. 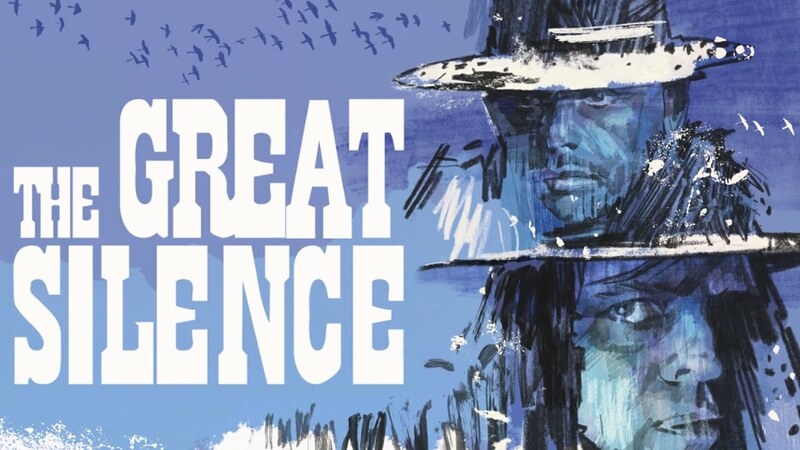 "The greatest spaghetti Western ever made." "...the director at his most artful and daring." "Brutal, bleakly beautiful spaghetti Western filmed on stark locations in the Dolomites, with one of the most uncompromising and unforgettable finales ever filmed."